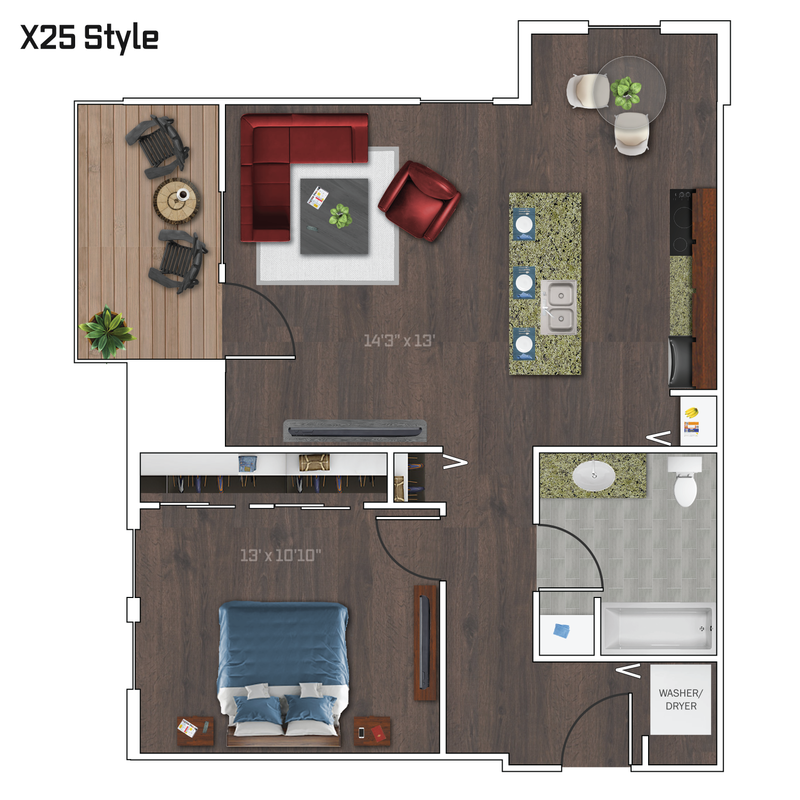 This is an apartment layout that has the essentials. There are closets and windows in every room, the laundry is secluded from the living area to reduce noise, and the kitchen is very functional with the rest of the living area in the apartment. The bathroom is separated from the bedroom, but still close enough for the feeling of an attached bathroom.